Clicking submit will submit your full profile to VRM Intel. 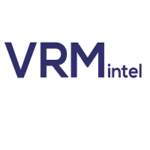 VRM Intel is hiring a reporter for vrmintel.com and VRM Intel Magazine. As a VRM Intel reporter, you will be researching, interviewing sources, and writing about the vacation rental industry and targeted to short-term rental suppliers, providers, and managers. Stay up-to-date with the latest current events in the “beat” by studying papers, attending events etc. VRM Intel was created as a tool for the fast-growing and rapidly-evolving vacation rental industry. Our mission is to provide relevant industry-specific news, information, and resources to help professionals build their businesses, to address the challenges and opportunities facing the industry, and to positively contribute to the vacation rental ecosystem.